While not exciting as the huge new patch that's still to come, it's still fun. 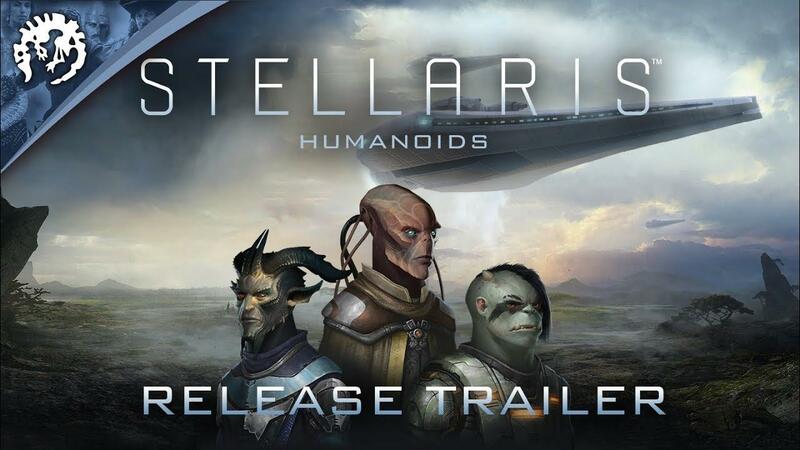 Stellaris: Humanoids Species Pack [Paradox Store, Steam] has been released along with a small patch today. Pictures don't do the new ship designs justice, to a massive fan of Star Trek, Star Wars, Battlestar and more, I've basically been in sci-fi heaven with it all. The Stellaris soundtrack has always been amazing, but having a little more variety with the extras is always welcome, not that I notice any of the tracks repeating because I enjoy listening to it so much as it is. The patch doesn't really alter the gameplay, but it's one of those nice extras. They also released a minor patch today, see the patch notes here. Apart from support for the new pack, it's just bug fixes. 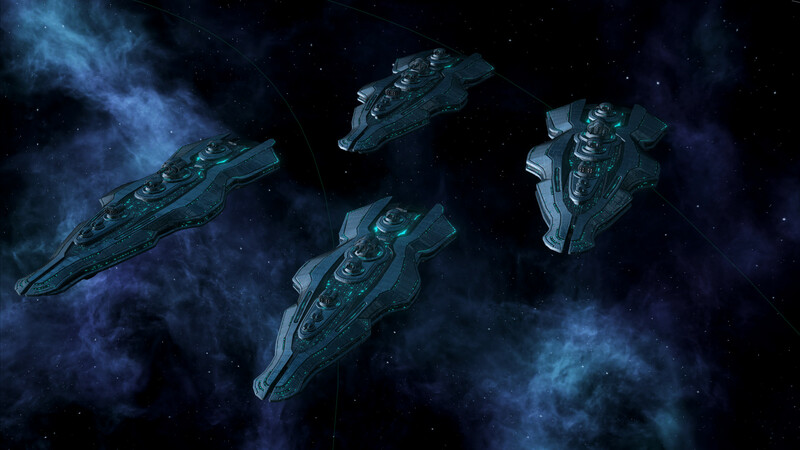 Stellaris, along with some of the older DLC is also on sale for a few days with 60% off, well worth picking up! I think I'll wait till the big patch. It doesn't really add anything of substance. I'm hoping the big patch will fix a bug that's been a pain for me; this one doesn't unfortunately. On the Galaxy map, the colours for different empires aren't displaying, so I can't easily tell what territory is whose. I can hover the mouse over a star to tell whose territory it's in, and sometimes if I look closely I can spot edge effects that let me know where the colours would be if they were coloured in, and of course if I zoom way out I get the empire names. So I can work around it, but it's annoying. Cherryh is totally reworking territory, so crossing my fingers. Purple Library Guy I'm hoping the big patch will fix a bug that's been a pain for me; this one doesn't unfortunately. On the Galaxy map, the colours for different empires aren't displaying, so I can't easily tell what territory is whose. I can hover the mouse over a star to tell whose territory it's in, and sometimes if I look closely I can spot edge effects that let me know where the colours would be if they were coloured in, and of course if I zoom way out I get the empire names. So I can work around it, but it's annoying. Cherryh is totally reworking territory, so crossing my fingers. This is a driver problem. The latest mesa 17.2.6 fixes that. I really like those small portraits DLCs They add much diversity to the game. On a huge map (even bigger than what vanilla offers, when using a mod) it's pretty common to meet species that look almost identically among the minor/primitive ones, and that's quite annoying. Hori I really like those small portraits DLCs They add much diversity to the game. On a huge map (even bigger than what vanilla offers, when using a mod) it's pretty common to meet species that look almost identically among the minor/primitive ones, and that's quite annoying. 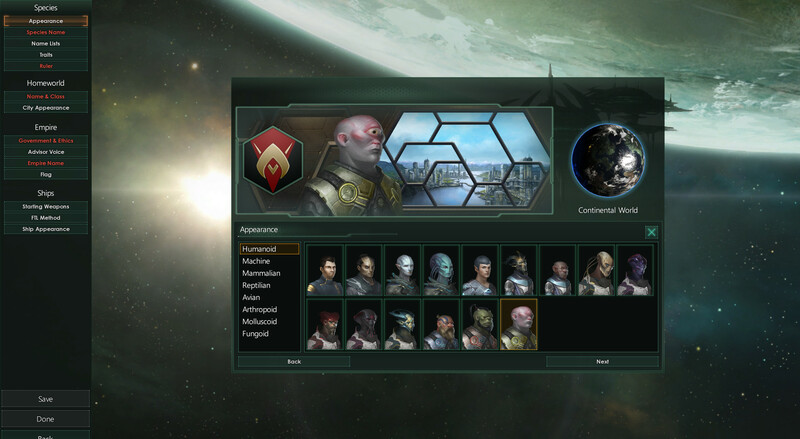 Would be nice if the game limited itself to no more species fallen/major/minor/primitive than there are portraits available. True. But the biggest problem was that I wasn't able to limit the number of minor/primitive civilisations. I made a personal mod that adds much bigger galaxies (the biggest that the engine allows). I solved the "diversity" partially by adding new carefully created name lists, flag symbols, flag backgrounds, star names and species names. But the biggest problem was the portraits. While I could implement new portraits into the mod, I find it very difficult to do myself, especially making them match the game's art style and feel like they are "vanilla". I'd much rather reduce the number of primitive civs, that would free up portraits and would also help a lot with the performance issues that this game has once you play long enough on the same save. I don't know, maybe there is a way to do this now, but last time I checked, there wasn't, or at least not one that is satisfactory enough. PS: The mod I'm talking about can be found here but I haven't updated it in a while since I haven't played the game in a while. I'll probably give it another go if the last DLC (Synthetic Dawn) will be at a reasonable price during the Christmas Sale, and also this portraits pack. Thank you very much, that's nice to know.